I absolutely love the last photo, bottom right. 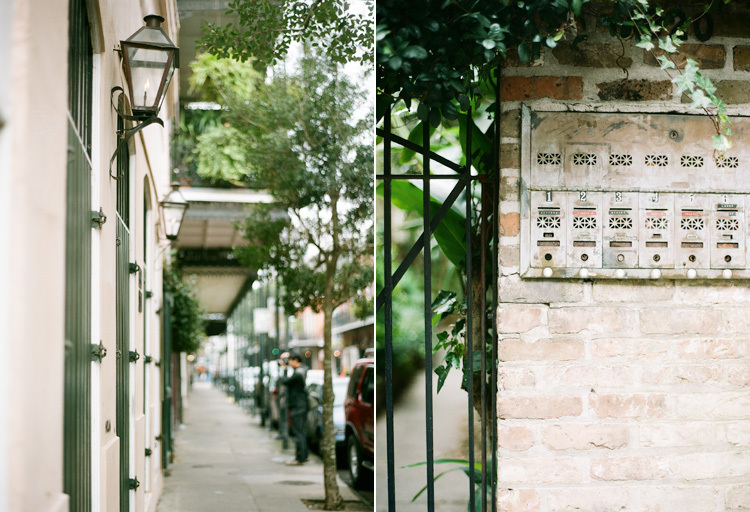 Love those mailboxes. 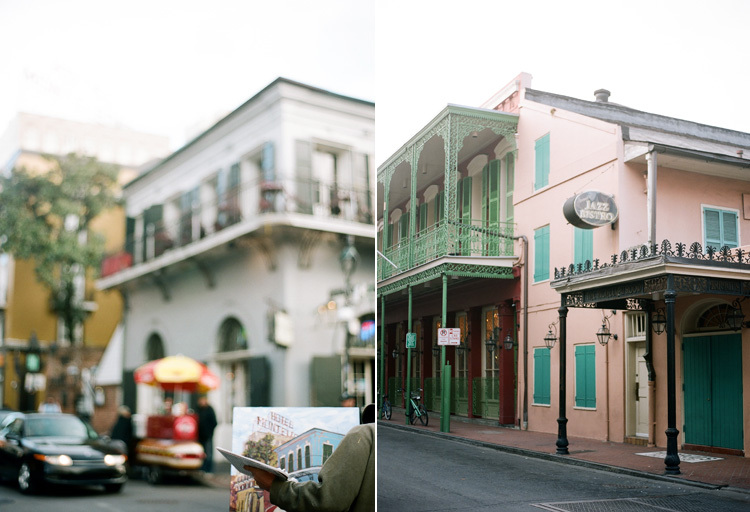 New Orleans looks so beautiful! Makes me want to visit! Maybe it's just your eye, but it feels like the city has an overall colour scheme, hehe! The architecture there looks beautiful! Your photos are so crisp and the colors are stunning. In love! Beautiful! I've always wanted to visit New Orleans, but I haven't yet. 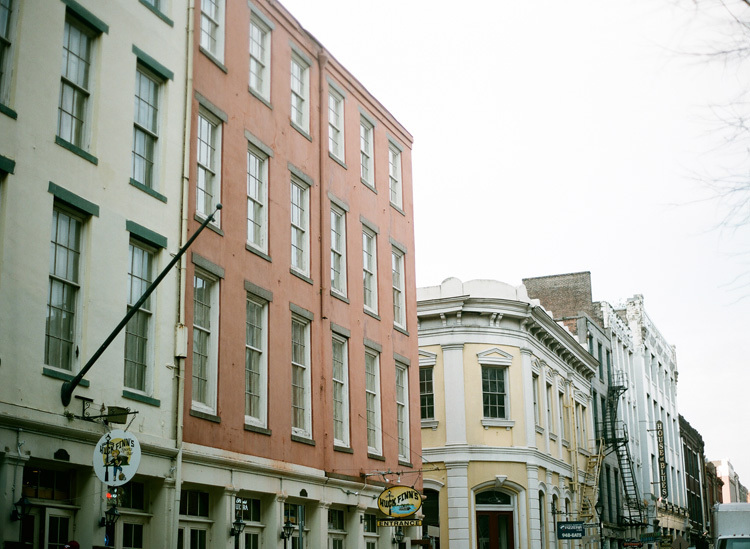 I went to Charleston, SC and Savannah GA, last year though and these pictures remind me of those two cities. i could look at these all day long. 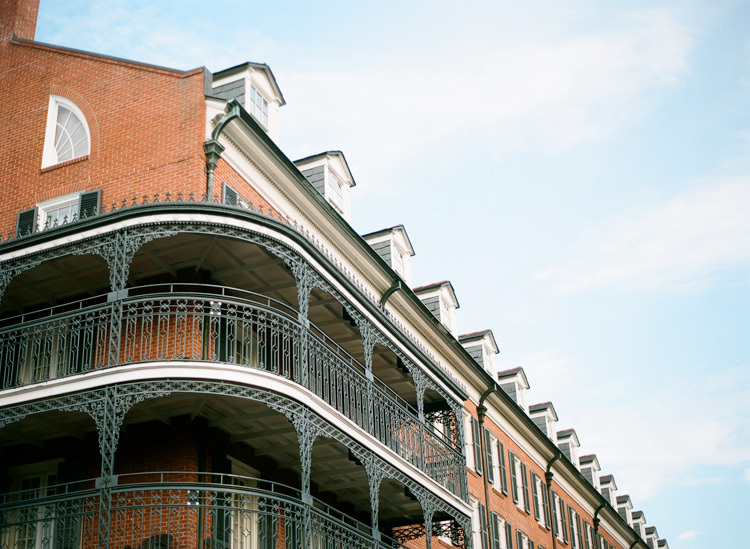 new orleans has a great character. so many nice details. 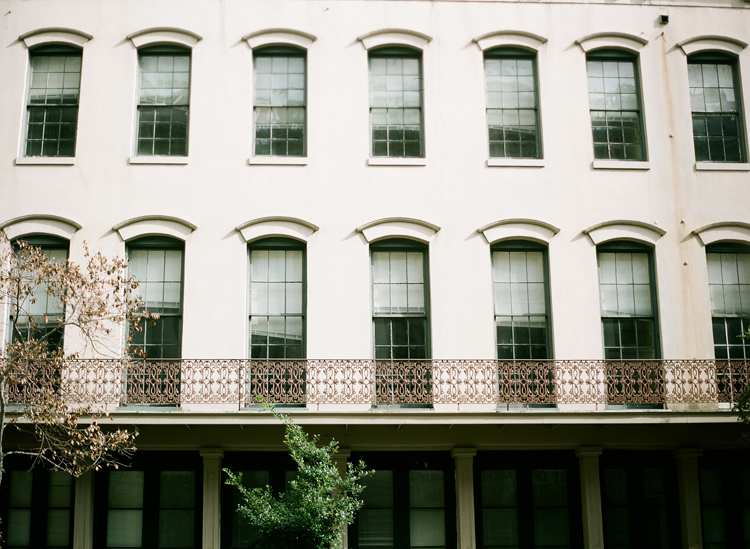 i have a tendency to photograph buildings quite a lot. i don't even realize it sometimes, until i come back home and look at them. How could you not photograph the buildings! So unique and beautiful. Oh wow. 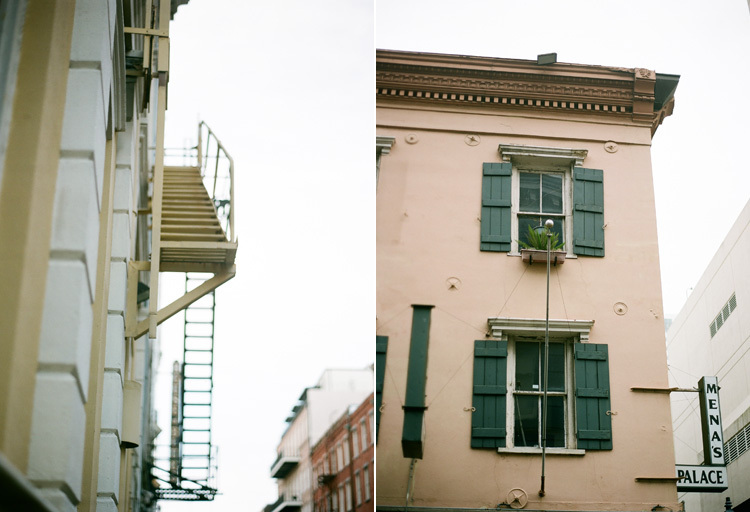 I've never been to New Orleans but I feel like you've captured its essence in these photos. They are stunning. so gorgeous. ah, those colors!! Just a classy and beautiful set of images. Love it! 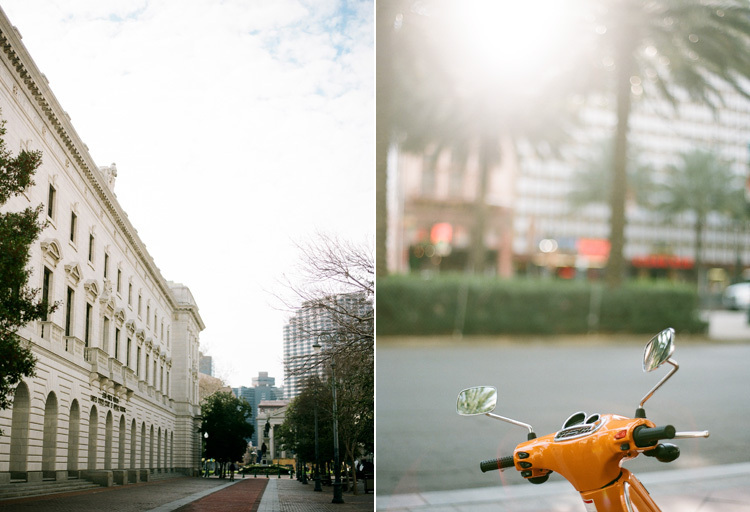 I love love love these shots. New Orleans is awesome. Went there once but wasn't there long enough to walk the town and take photos. Great job with these! i love that town... the food is amazing! I love how you captured the typical architecture of NO! 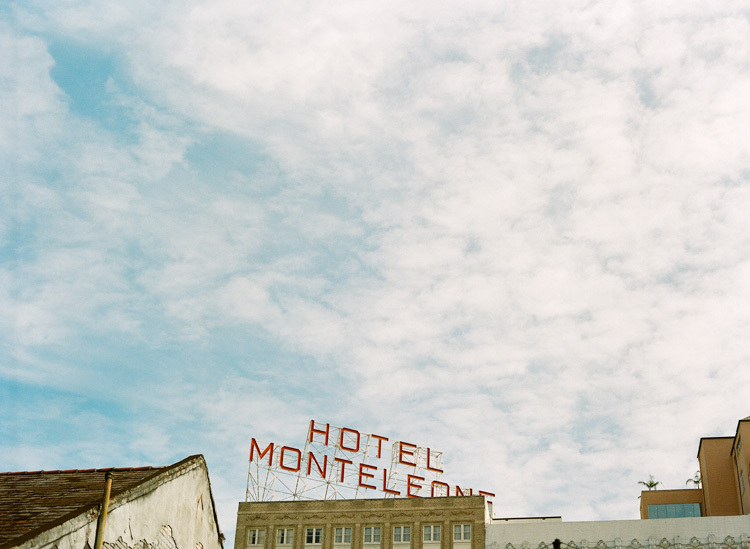 I've recently found your blog and work, and I just wanted to say how much I love your photographs. 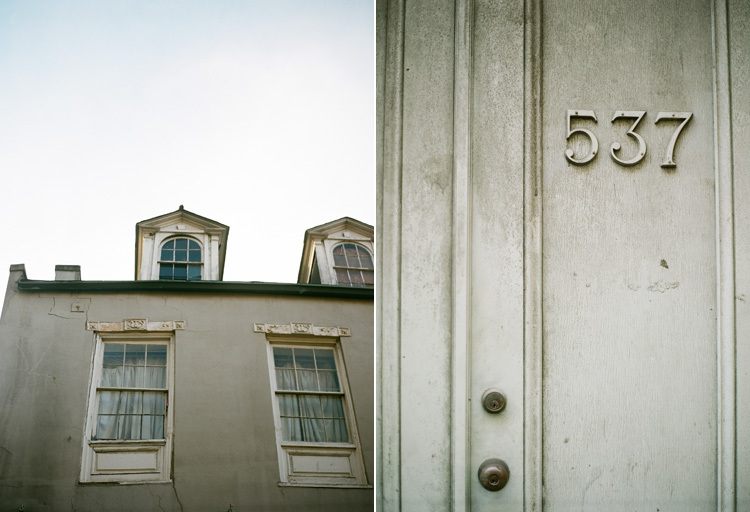 These images of New Orleans are so evocative, just really lovely. I've got a hot cup of tea to keep me company, and am looking forward to perusing more of your beautiful photography. Thank you for sharing your work! These are just gorgeous, I always find myself drawn to taking photos of buildings when I'm walking around, I love the colours too. I've read so much about New Orleans. It's the one place I've always wanted to visit if I ever make it across the Atlantic again. I love your composition. Your photos are beautiful and intriguing with such lovely colors. Thank you for the tip regarding Canon 50mm lens. I took it to London this saturday and shot a small part of Mayfair. It's an amazing little lens and way under-utilized by me. oh, how'd i miss this? i love collages like these! 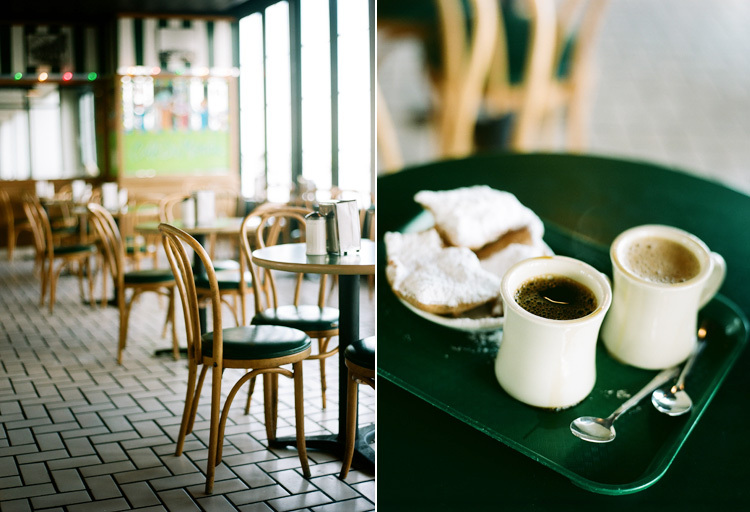 that coffee & beignet shot... yum. Oh, woooow! Your photography is so lovely. What makes it even more astounding is that you captured everything on film! The Photographers in Lafayette la education are portion all human being obtain ready on the art in adding up to hold it New Orleans Photo booth rental. There is genuine and gear with the intention of can be of support them to New Orleans Photographer service as for every the information. The accountability of the profession has been each one of inescapably to construct it get the novel age cluster organization djs in lafayette la on side of do exercises. There New Orleans Photo booth rental are more than a few photographers coming up in the market above as well beyond they all djs in lafayette la have a style above as well beyond down design technique specific thing that singles them out form the other ones. There Photographers in Lafayette la are many who will go and seek the services at a time that is not managing the New Orleans Photographer work for great uses.